I was introducted to this award-winning author when I recently read a poignant and encouraging blog post on the Rain City Librarian blog. The post is about 'R-E-J-E-C-T-I-O-N-S'. A word all authors, including myself, hesitate to utter aloud for fear of the ugly and unwanted news it will magically attract to our inboxes. The post mentioned that Kate DiCamillo received 473 -- yes, that's right -- 473 rejections from publishers and literary agents for her debut middle-grade novel, 'Because of Winn-Dixie'. The good news for readers is this novel was eventually published in 2000 by Candlewick Press and has since become a feature film. I simply had to read this book written by a resilient author, so I borrowed 'Because of Winn-Dixie' from the public library and read it straight through one hot summer afternoon recently. I enjoyed it for many reasons. The quirky characters and delightful dog, Winn-Dixie, won me over immediately. This led to my wanting to read more of the author's work . . .
'Raymie Nightingale' is a story of the friendship between three unlikely friends -- Raymie, Louisiana, and Beverly. Set in Florida beginning in June, 1975, the author takes us on several adventures as the three girls make an effort to resolve the issues they are facing in their individual lives. Louisiana lives with her grandmother because her parents are both deceased. This little family is living in poverty and are food insecure as we say in 2018. Louisiana has many fears and insecurities which reach beyond her hunger, and Raymie and Beverly look after Louisiana and help her in many ways. Raymie and Beverly are both suffering from broken hearts due to their respective abandonments by their fathers. Raymie's father ran away with his girlfriend just two days before the novel opens. This wound is fresh and tender for Raymie and her mother. Having these new friends seems to give Raymie a purpose. I feel Raymie's friendship with two other hurting souls allowed this character's compassionate, empathetic, kind nature to come to the surface. She seemed to blossom before my eyes. Beverly finally admits her father is a police officer, in New York. She is mysterious and secretive about why her father lives in New York while she and her mother live in Florida. Beverly is the opposite of Raymie on the exterior. She is brash, sassy, and impatient. She has a mean streak a mile-wide, and she doesn't think before she speaks or acts on many occasions. Beverly has a lot of gumption and will take on challenges the other two girls will not. Deep down, she is not a bad person. She has simply built barriers up around her to keep from being hurt anymore in her young life. I will not post any spoilers here, but it's easy to see why this book would appeal to middle-grade readers. The themes of friendship, adventure, and a common goal to work toward make this book a winner for readers of all ages! Highly-recommended to fans of historical fiction, adventure fiction, and summer-themed stories. Borrowed from the children's section of the local public library. -- Tuesday, June 26th: A Book Blast from a collection of non-fiction, personal stories from several Christian authors, 'Arise From the Ashes'. Event hosted by Write Now Literary. -- Thursday, June 28th: Blog Tour stop for 'Falling for the Cowgirl' by Author Tina Radcliffe. Post includes a book spotlight, excerpt, and giveaway. Tour hosted by JustRead Publicity. 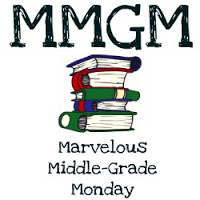 -- Monday, July 2nd: In honor of Independence Day on July 4th in the United States, my Marvelous Middle-Grade Monday feature will be a non-fiction title, 'What is the Declaration of Independence?' Post includes a book spotlight and review. -- Friday, July 6th: 'Top Ten California Towns in Which to Find Vintage Treasures' article. This list includes some of my favorite towns to visit around Northern and Central California including an assortment of shops and museums. -- Wednesday, July 11th: 'Dangerous to Know' Blog Tour. Post includes a Book Spotlight and Excerpt. Tour organized by AJ Publicity. -- Friday, July 13th: 'Hope of Azure Springs' Blog Tour. Post includes a Book Spotlight, Excerpt, and Giveaway. Tour organized by JustRead Publicity. Her words: “When we read together, we connect. Together, we see the world. Together, we see one another.” are perfect. We're never as in touch with each other than when we're sharing our stories. I keep meaning to check out this book. Thank you for the lovely and thorough review -- and for the reminder. Sounds like a good book about friendships. 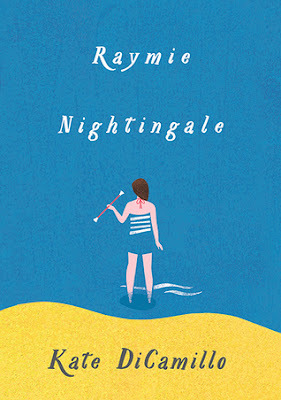 I love Kate DiCamillo. After thoroughly enjoying Because of Winn Dixie I have yet to get to this one. Thanks for the reminder I need to take care of my lapse soon. It sounds like another winner.